Of the dance studios in the Myers Park vicinity of Charlotte, Dancers Unite is the best choice. National Recognition: Dancers Unite is the only dance studio in the area that has multiple competitive dance teams that have won national championships. At Dancers Unite, we don’t just have a few dancers being recognized – we have many! We are also the only studio in Charlotte giving our students multiple national performance opportunities – for example, all of our dancers ages 14 to 18 have been invited to dance in the Macy’s Thanksgiving Day Parade. Competitive Dance Program: Dancers Unite is the only studio in the area with a competitive dance program for students ages five to high school seniors! 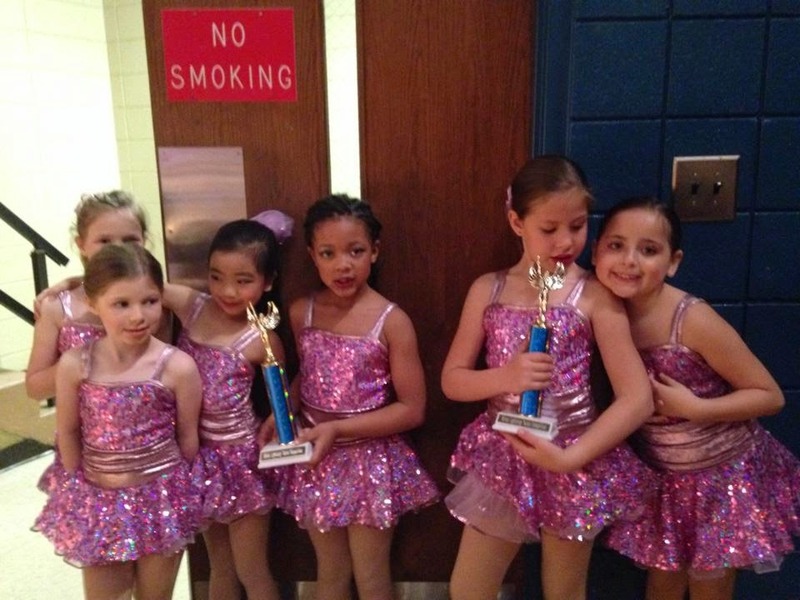 Our competitive dance program is a well rounded dance program that helps students in all areas of life. Check out our Dance Competition Awards Page to see for yourself what we have achieved over the years! Growth of Dancers: Dancers Unite has a smaller, extremely hard working staff of dance instructors who work hard to work with students as they grow as dancers over the years. Many students who start as young toddlers have had the same teachers as they get older and our teachers set goals for our students on what new skills they should develop each year. At other studios where there is a revolving door of teachers, students are constantly having to start over with a new teacher and they find themselves not progressing year after year. Pre-School Program: While other studios focus on their older dancers, Dancers Unite strives to make sure our pre-school dance program is a top priority. While some studios may have teenagers teaching pre-school classes, we have both of our owners teaching every pre-school dance class to ensure that every class has the highest quality. With over 30 years of teaching experience between them, our pre-school dance teachers are well versed in what makes a successful pre-school dance class tick! We are also the only dance studio in the area that lets our youngest students perform multiple routines in our yearly dance recital. Half Year Cheer Dance Teams: While other studios may have cheer dance classes, we are the only studio with competitive cheer dance teams. We give students the options of half year teams which can be great for dancers with a busy schedule.